Announcements about features or events on NikonForums.com. 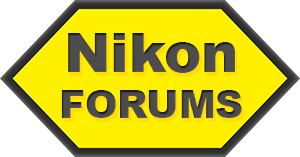 Welcome to Nikon Forums! As we're sure you already know, we're a new discussion and resource site for Nikon camera users, and we will be doing our best to become the ultimate Nikon community in the years to come. If you haven't already, we recommend that you create a free account to enjoy our site to its fullest. You can also log in using your Facebook account. Our site is more than just a forum; even though we've just gone live, our staff has been hard at work setting things up over the past several weeks. Don't miss our homepage news, user photo gallery, member blogs, and classifieds! 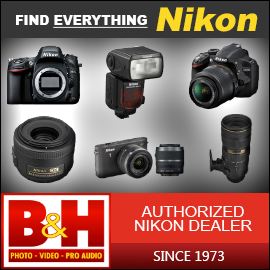 We also have a Nikon camera database and a Nikon lens database, where you can post reviews of your gear and browse specifications. If you own a lens that isn't listed yet, you're welcome to add it to the database! All six of these sections are accessible via the navbar on the left side of the page. 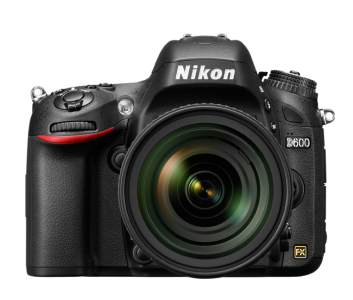 Nikon D600: We are giving away one of these - details below! In order to celebrate our launch, we are hosting three giveaways and a photo contest, all of which are already live! By participating in our main giveaway, you can win a Nikon D600, D7100, or up to $2000 toward any other Nikon camera. The first 25 forum users will receive premium account upgrades with increased photo space, while one of the first 200 members to join will be randomly chosen to receive a $150 gift card to B&H Photo. Details on all these giveaways can be found here. You might be wondering who's in charge of Nikon Forums and how we were able to get so much content online and fund all these great prizes. Read on for a little bit about us!